Abstract: Get ideas you can use NOW to identify and avoid resource bottlenecks! Get ideas you can use NOW to identify and avoid resource bottlenecks! 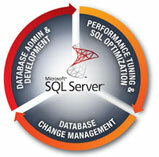 You learn a lot when thrown into a SQL Server crisis situation - everyone looks to you to quickly solve the problem. The system is down, the CEO is demanding answers, and each minute further cuts into the company's bottom-line. When you are in a hurry, you need new ideas right away! This community webinar will give you quick ideas and suggestions which you can use and identify what is the real resource bottleneck and how you can avoid it. Pinal Dave, creator of the SQL Authority website, will discuss SQL Server performance tuning techniques using wait types and queues. Pinal Dave works as a Technology Evangelist (Database and BI) with Microsoft India. He has written over 1700 articles on the subject on his blog at http://blog.sqlauthority.com. During his career he has worked both in India and the US, mostly working with SQL Server Technology – right from version 6.5 to its latest form. Pinal has worked on many performance tuning and optimization projects for high transactional systems. He received his Master of Science from the University of Southern California and a Bachelors of Engineering from Gujarat University. Additionally, he holds many Microsoft certificates. He has been a regular speaker at many international events like TechEd, SQL PASS, MSDN, TechNet and countless user groups. His passion for the community drives him to share his training and knowledge. Before joining Microsoft he was awarded the Microsoft Most Valuable Professional (MVP) in SQL Server Technology for three continuous years for his outstanding community service and evangelizing SQL Server technology. He was also awarded the Community Impact Award – Individual Contributor. Register today. And don’t forget to fill in your questions on the webinar registration form.